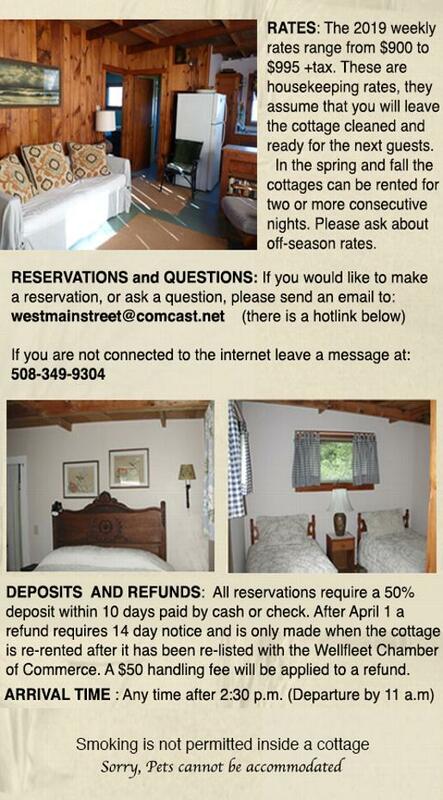 Wellfleet, Cape Cod, 3 bedroom cottage for weekly rental. If you want to email Wellfleetweeks Cottages, Click Here. 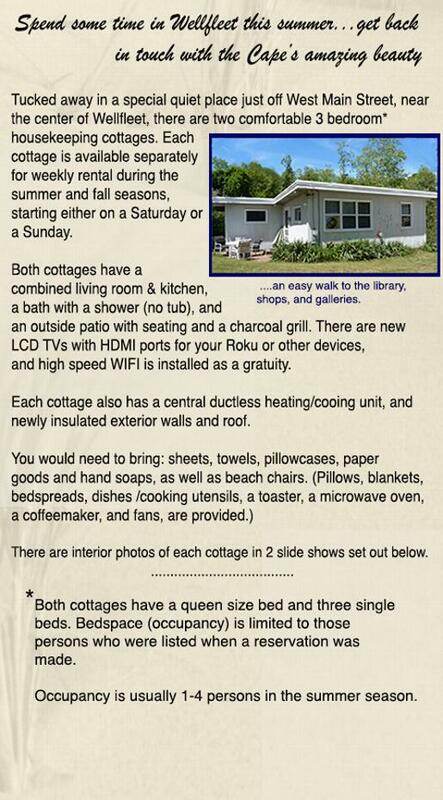 To learn more about Wellfleet (beaches, maps, things to do), Click Here.